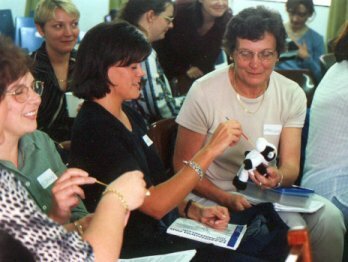 In late October 2000, Children of Fire hosted two full-day workshops at The Memorial Institute in Johannseburg for people working with, or parents of, multiple disability children. Some 80 people registered for each day, to hear the ideas of Robert Orr, a specialist from the United Kingdom. The level of interest in just one province, demonstrated the need for more such training to take place. Children of Fire is compiling research in the field to share with workshop delegates by end-2001. The workshops held, looked at what happens when some senses are missing. Helping children to begin to see, when their sight is not useful to them. Building relationships with children who have many disabilities together, and have little interest in people, objects or language. Robert Orr talked about dysfunction among the eleven senses (sight, hearing, smell, taste, localised touch, general touch, warmth, coldness, balance, proprioception, pain) and, the implications these had for learning. 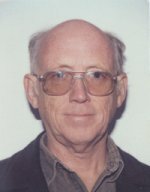 He looked at building relationships with children with multiple disabilities and at stimulating the available vision of low vision children. Parents and teachers were shown how to learn through play with children who have no interest in the world beyond their own bodies. And Orr talked about developing communication with children who prefer to withdraw and shut us out. He also looked at children who can speak but merely repeat what they hear (Echolalia). There are later problems with children who refer to themselves as "she" or "he" rather than "I". Orr referred to blind children who do not see the gestures that indicate what is meant by we, they, you, me and us, and who cannot see where 'over there' is. He persuaded people to close their eyes and to try to feel objects with "spilliken" sticks - so that they would find out first hand how hard it is for a blind person to use a stick to make sense of a 3D world. It was very interesting to see how hard people found it, trying to work out that an orange was fruit or that that stronge knotty shape was a scouring pad. In another exercise with an apple, Orr encouraged people to voice all their senses in its description. The people who attended included doctors, parents, teachers from "special schools" and occupational therapists, speech therapists, language therapists, people working and living with children with multiple disabilities and the children themselves. The workshops were accredited pro bono for doctors' Continuing Professional Development point by Wits University C.P.D. Office.